Daddy Yo!! – Any Competition again? BET has just announced Wizkid as the Winner of the “ Best International Act Africa ” Award in a special ceremony held in Los Angeles. It’s the Starboy’s 2nd win in this category, first taking home the award (alongside Sarkodie) back in 2012. Davido , Tekno , Stonebwoy, Nasty C , Babes Wudomo , Mr Eazi and AKA . However, Stonebwoy is the first person amongs the nominees to congratulate Wizkid. The Zylofon Media signed act took to twitter to congratulate Wizkid. Drop your comments & Beef comments. 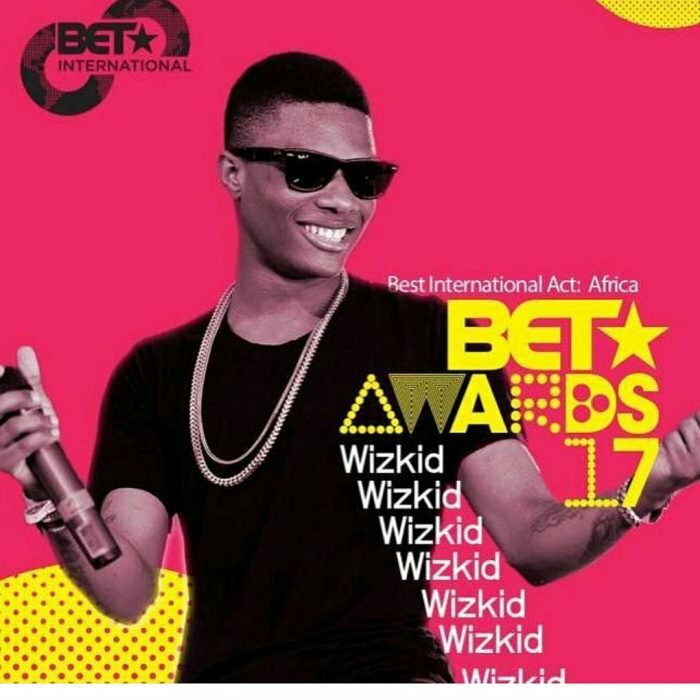 Hey Buddy!, I found this information for you: "Wizkid Beats Davido, Mr Eazi , Tekno To Win The 2017 BET Best International Act , Africa". Here is the website link: https://360kwado.com/wizkid-beats-davido-mr-eazi-tekno-to/. Thank you.